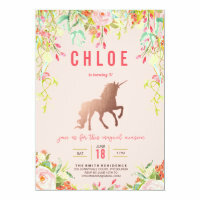 We have featured from Zazzle a collection of unicorn birthday invitations that we think are perfect for customising with your party information and sending to your guests! 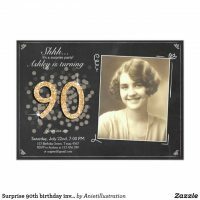 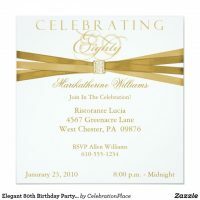 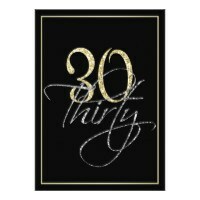 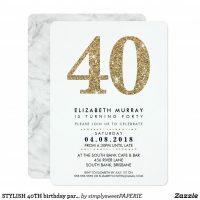 Choose from a range of personalised birthday invitations and customise not only the text but also the font type, text size/colour and the type of paper that you want your invitations to be printed on. 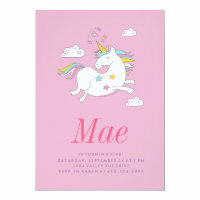 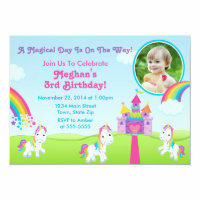 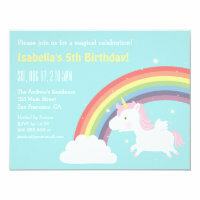 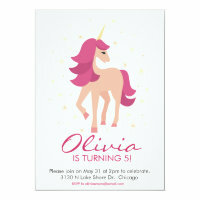 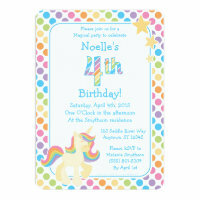 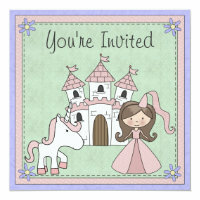 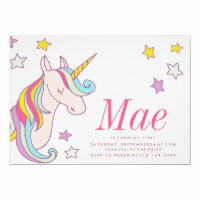 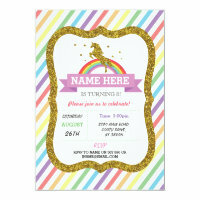 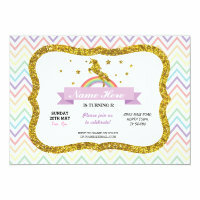 Whether you are throwing a unicorn birthday party or looking for invitations to send to your unicorn themed baby shower, Zazzle sells a wide selection of customisable invitations that you can simply personalise! 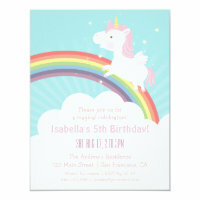 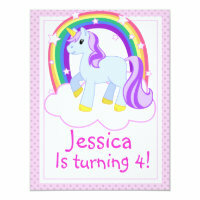 Looking for unicorn party supplies?